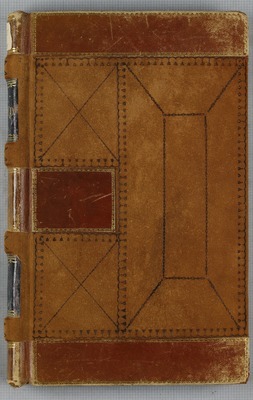 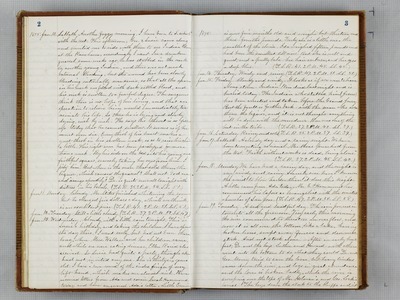 The Delia Locke Diaries are part of the Locke-Hammond Family Papers. In addition to the diaries, these papers include a broad range of materials on the family and Lockeford, California, the town they founded in the 1850s. 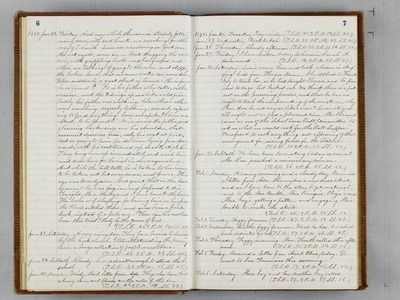 Delia (Hammond) Locke was the matriarch of the family. Born in 1832, she married Dr. Dean Jewett Locke and moved to California in 1855. 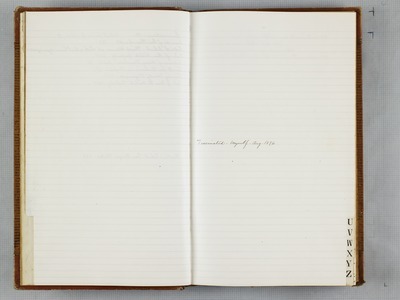 That same year Delia began keeping a daily diary. 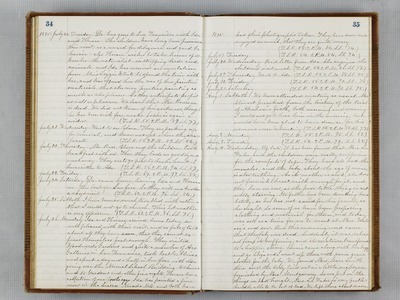 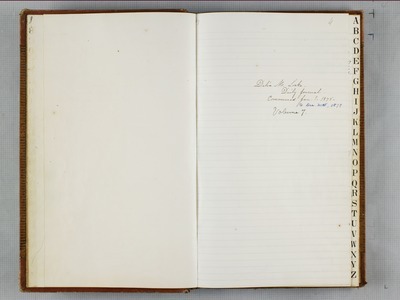 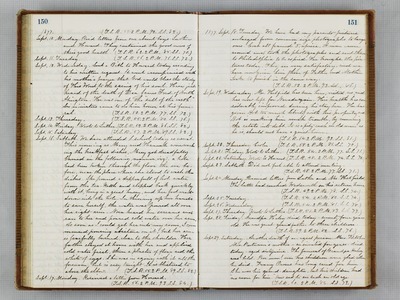 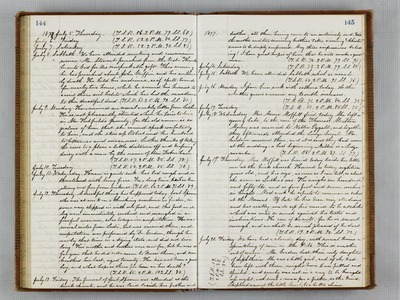 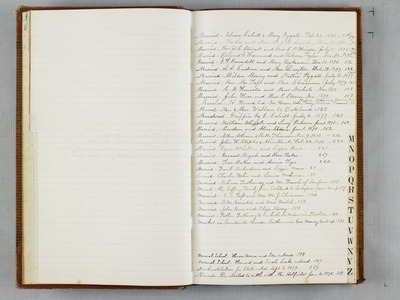 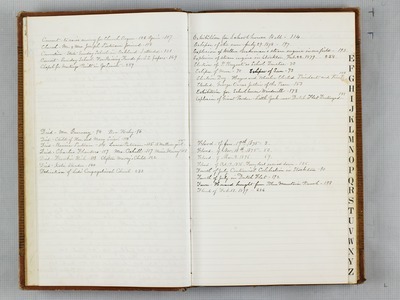 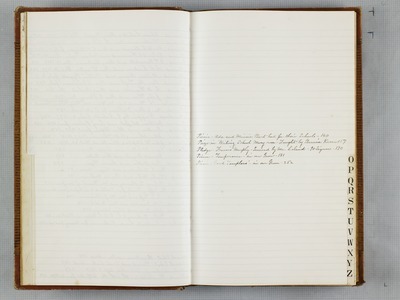 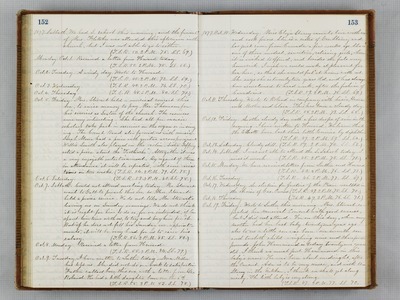 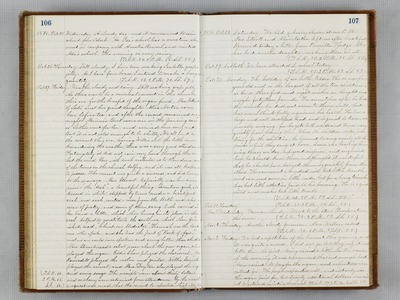 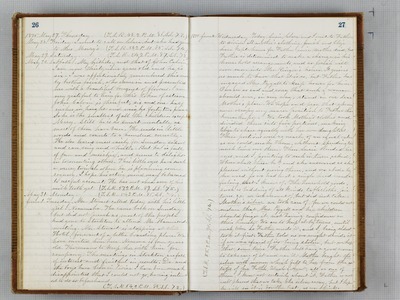 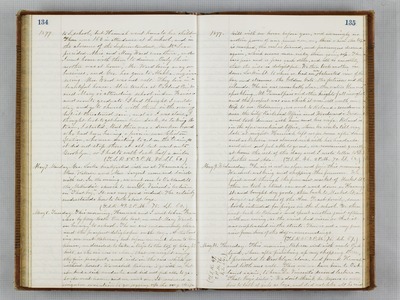 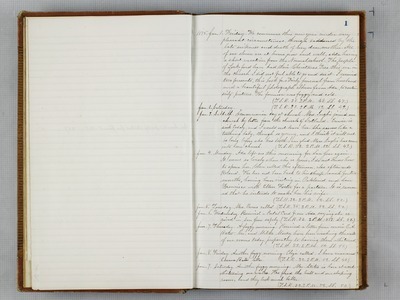 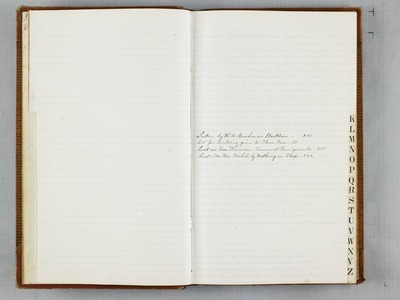 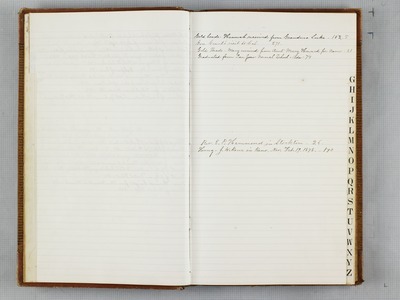 Her diaries from 1855 to 1918 have been digitized to create this online collection. The diaries provide a remarkable documentation of life in rural northern California in the 19th century. The daily happenings of Delia's life and the Lockeford community are recorded, including the activities of church and temperance organizations as well as the Mokelumne River Ladies' Sewing Circle. 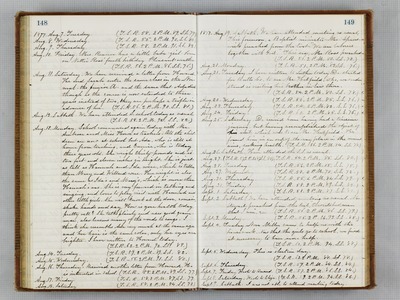 Nearly every entry begins with temperature recordings taken at sunrise (written as "T.S.R"), 2 PM, and Sunset (written as "S.S."). 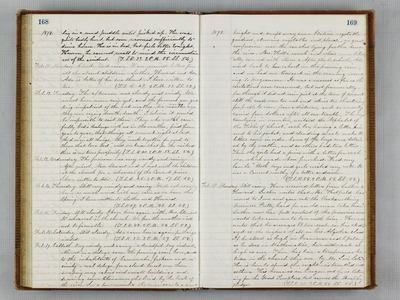 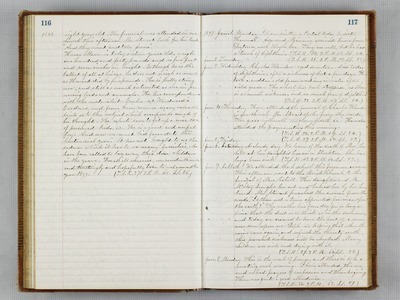 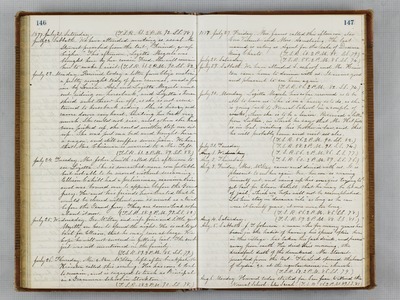 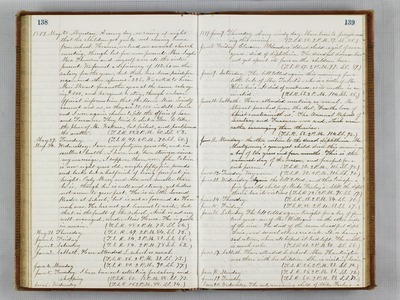 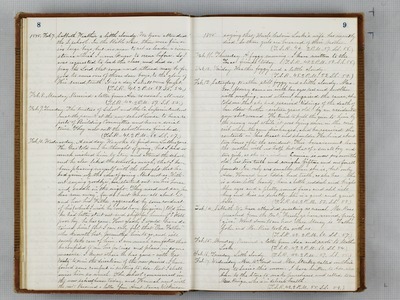 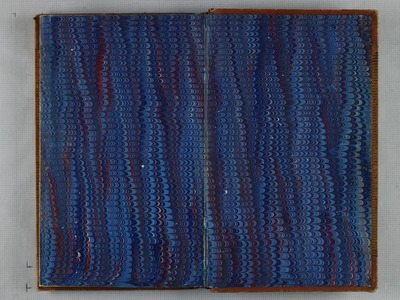 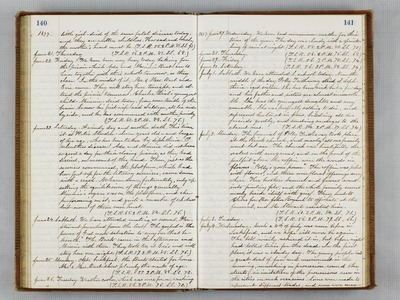 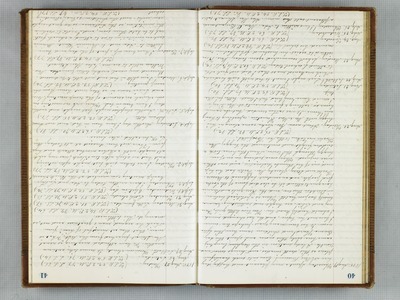 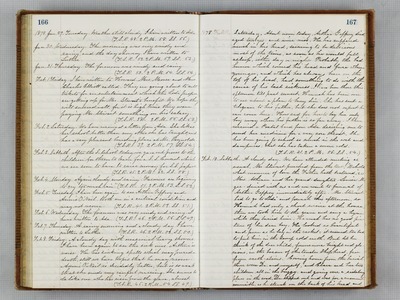 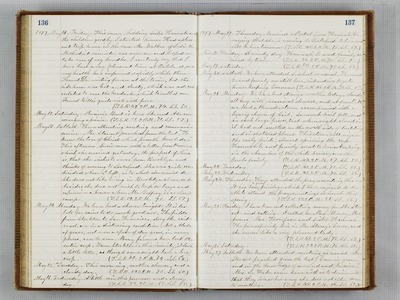 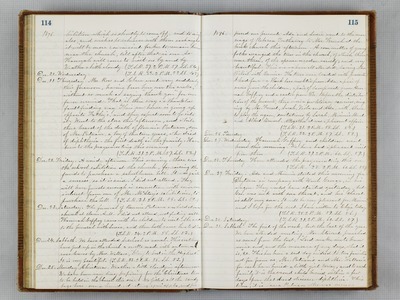 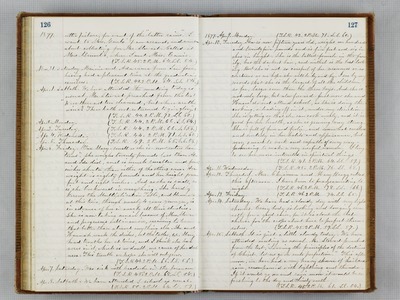 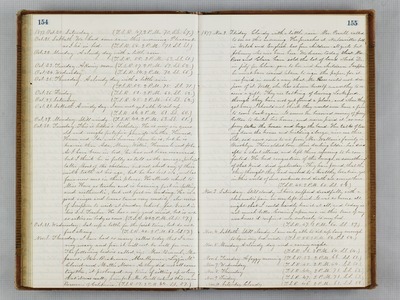 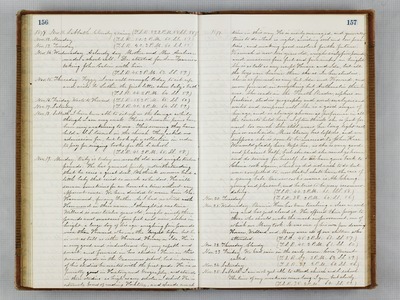 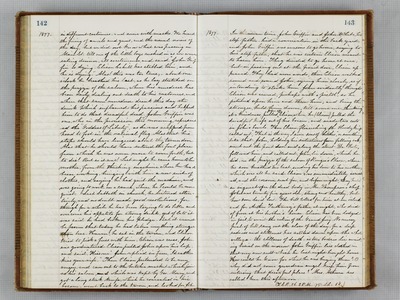 All of the online diaries have full-text transcriptions that can be viewed by selecting the "view: page and text" option to the left of each image. 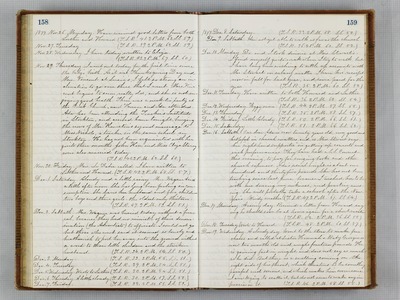 Transcripts within a specific diary can be searched by using the "Search this object" option to the left of each image. Transcripts of all of the diaries can be searched simultaneously through the collection's Search page.